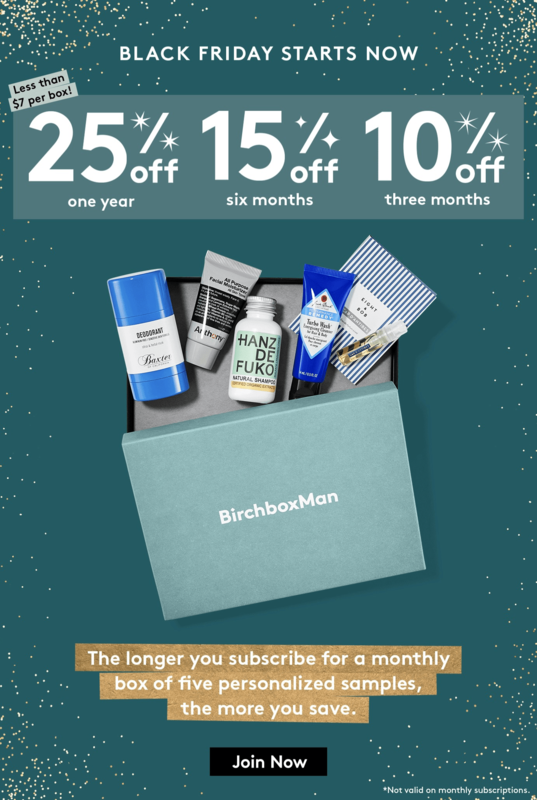 BirchboxMan‘s 2018 Cyber Monday sale on subscriptions has begun! Save up to 25% when you subscribe! This deal is automatic with this link – no coupon or promo code needed! 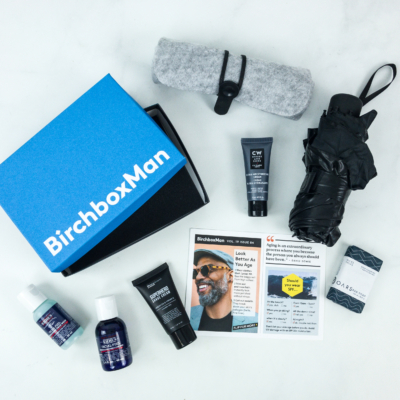 When you purchase a BirchboxMan subscription as a gift, you can also add the FREE Mystery Sample pack (for her/beauty or for him/grooming) to your order, plus FREE Gift with purchase (for her/beauty or for him/grooming). 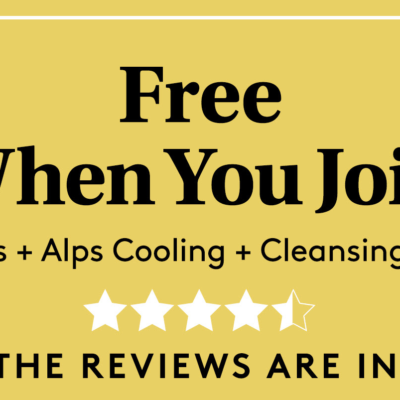 Gift subscriptions do have a $2.95 service fee, but it’s worth it to grab these freebies! 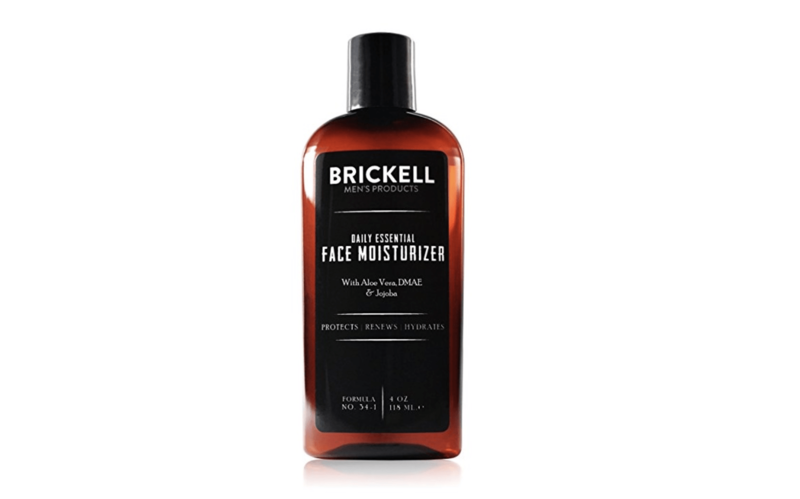 Get a free Brickell Men’s Products Daily Essential Face Moisturizer (a $35 value!) when you join with an annual subscription today. Use code BRICKELL at checkout. 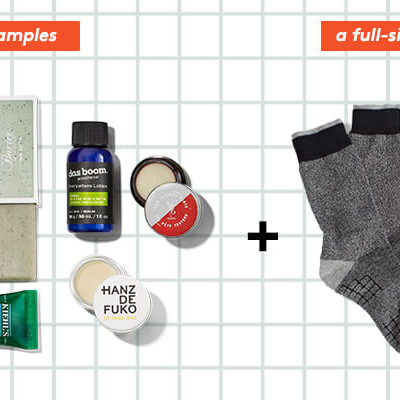 See the BirchboxMan holiday shop to get ready for gifting & Birchbox Cyber Monday 2018!